Wayne writes: Yesterday, November 2nd, was the announced publication date for the new, three-volume edition of our J.R.R. Tolkien Companion and Guide. We received an advance copy in September, so it has been printed; but we learned today that HarperCollins have had quality control issues regarding the boxed set, and must replace copies that weren’t acceptable. We don’t know yet how long the boxed set will be delayed, or if the copies to be sold as individual volumes – which were to be published on 30 November – will be delayed as well. This is disappointing to us too. But shall we say that patience is a virtue? And in the meantime, Amazon U.K. (sorry, there’s no U.S. edition) are still taking orders for the boxed set at only £78, a savings of £42 off the list price. (The three individual volumes will sell for £40 each.) Though we say so as shouldn’t, we think that this is good value for money. Here are the figures. The first edition (2006) of the Chronology volume ran to 996 pages, including genealogical and bibliographical appendices, a list of works consulted, and an index, while the first edition of the Reader’s Guide (omitting back matter also included in the Chronology) came to 1135 pages, thus effectively 2131 pages, plus a preface of 9 pages. For the new edition, 61 pages have been added to the Chronology proper, 320 to the Reader’s Guide proper, 20 to the appendices, 28 to the bibliography of works consulted, and 6 to the index. The preface is now 11 pages, and in the Reader’s Guide we added an 8-page list of the articles. That totals 445 additional pages, compared with our first edition. Counting that in words, and referring only to the main portions of text, the Chronology has 434,474, the first volume of the new Reader’s Guide 426,240, and the second volume of the Guide 326,354. Altogether that’s 1,187,068 words – or 1,304,120 if one were to add the appendices and other matter. Because the Chronology and Reader’s Guide once again are to be available separately as well as together in a set, we included our preface in both the Chronology and volume 1 of the Reader’s Guide, and a comprehensive index to the set in both the Chronology and volume 2 of the Guide. In order to balance the three volumes as much as possible, however, we moved the family trees and bibliographical matter from the Chronology (where we had them in 2006) to the second volume of the Guide, and included our list of works consulted in the Guide (the second volume) only. Often we have pointed out that the Companion and Guide contains a great deal of previously unpublished material by Tolkien himself, especially in the form of extracts from letters. This is true again for the new edition, part and parcel of the material newly added for 2017 as Christina indicated in our previous post. There Christina mentioned some of the new articles in the Reader’s Guide; a complete list may be found on our website. The Chronology has also been much expanded. This was the volume I worked on at the start of our revision, while Christina dealt first with the Guide. I began by making, in our design software, a copy of the Chronology as we sent it to HarperCollins in 2006, which I then corrected according to the corrigenda we had posted on our website or compiled towards the new edition. (Later I did the same for the Reader’s Guide.) After this I began to insert existing Chronology addenda, but immediately saw that the history should more properly start not in 1889 with the birth of Edith Bratt, Tolkien’s future wife, but in 1857 with the birth of Tolkien’s father, Arthur, and that the timeline of events regarding Arthur and Mabel Suffield, Tolkien’s mother, which we had related in our entry for 1891, would be best presented as separate entries. There were many tempting research tracks to follow in these early years, aided by an increased number of resources since 2006, both in print and online. A special mention should be made of the Ancestry website (ancestry.co.uk), to which I returned often. One of the most interesting avenues to explore traced the birth, baptism, parentage, and upbringing of Edith Bratt, made possible by access to documents (wills and divorce proceedings) regarding the relationship between her mother, Frances ‘Fannie’ Bratt, and her father, Alfred Frederick Warrillow. Other topics of research included the ship Roslin Castle, which Mabel Suffield took to join Arthur Tolkien in South Africa, and the cause of Arthur’s death, about which there are questions. Such research is part of the fun of writing books like this. When I got to Tolkien’s time at King Edward’s School in Birmingham, and especially to his undergraduate days at Oxford, I felt that we should have more documentation than we did in our original edition; and numerous mentions of his school and university friends suggested that they should have at least brief biographical entries in the Reader’s Guide. John Garth had already dealt with some of this matter in his booklet on Tolkien at Exeter College, but I researched each of the friends independently, through Ancestry and other sources. And so it went throughout the Chronology, as I inserted material from existing addenda, wrote new entries for information that came to light while we prepared the new edition, and augmented the section of notes at the end of the Chronology proper. Once again, as in 2006, as soon as we submitted our final text to HarperCollins still more letters by Tolkien surfaced, and more continue to come to light. As before, we’ll document the most important of these, and other information that comes our way, in a reconstituted online Addenda and Corrigenda. I should say something also about our new list of “Works Consulted”. Readers of our first edition will recall that we printed a dagger before each title that we considered ‘particularly useful for an appreciation of Tolkien’s life and works’. Now, having drawn from so many more sources for our new edition – the number grew by more than fifty per cent compared with our previous list – we found it too difficult to define what we meant by ‘useful’, and decided to omit daggers altogether. Instead, it should be taken as a measure of ‘usefulness’, at least according to our opinion, if we cited, and sometimes commented on, a source in the text of the Companion and Guide. Christina writes: One of our first aims in making a new edition of our Tolkien Companion and Guide was to deal with two confusing matters which came to light before the work was originally published but after we submitted its final text towards the end of August 2006. First, we had referred to Tolkien’s long alliterative poem on Túrin (in The Lays of Beleriand) as The Children of Húrin, a title used by Tolkien himself. Then HarperCollins announced (in September 2006) a prose version of the story of Túrin under the same title, and we could only hope that our references to the poem wouldn’t be confused with the book ultimately published in 2007. In our new Companion and Guide we now refer to the 2007 book as The Children of Húrin and the poem as The Lay of the Children of Húrin. To avoid anything similar happening with our second edition, HarperCollins promised to keep us informed of potential conflicts, and in the event we were given early access to Beren and Lúthien (2017). 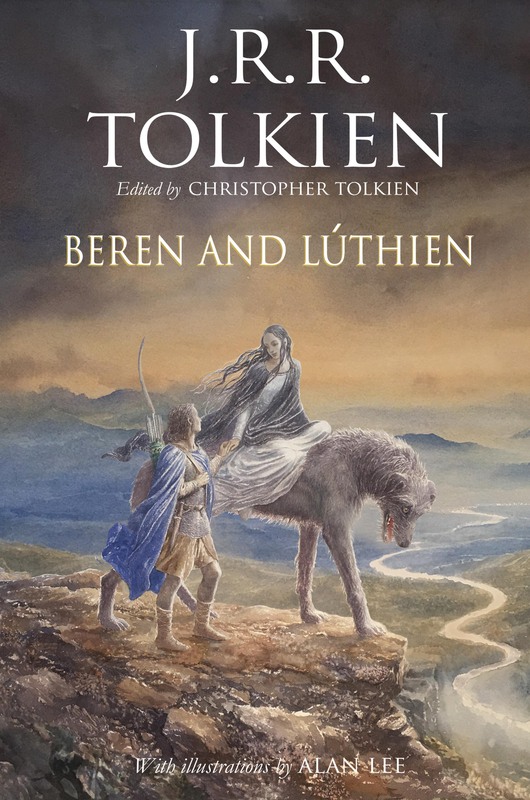 In our new edition we distinguish the book Beren and Lúthien from its underlying story ‘Of Beren and Lúthien’ (both entered under B). Also, we looked forward to correcting entries concerning Jane Neave which we had based on information in Humphrey Carpenter’s biography of Tolkien. Only a few weeks after the original Companion and Guide went to press, an article by Maggie Burns in the September 2006 Amon Hen showed that Carpenter was not correct when he stated that in 1904, while his mother was in hospital, Tolkien stayed in Hove with his Aunt Jane and her husband Edwin Neave. Maggie established that Jane and Edwin were not married at the time, indeed Jane was employed as a teacher in Birmingham. Further research by Maggie, who unfortunately did not live to see how much her work helped us in our new edition, and also by Andrew Morton, built up a more detailed picture of Jane which led to several addenda and corrigenda on our website. When we began to work on our revised edition, Wayne attended to the Chronology while I began to lay out a framework for the Reader’s Guide. We had already placed on our website an alphabetical list of topics in the Guide, and over the years had supplied lists of addenda and corrigenda. My first step was to insert the entries in the accumulated addenda and corrigenda into the list of topics in the correct order; and to this I added headings marking entries to be written for primary material (i.e. written by Tolkien) published since August 2006 – on our website we had paid more attention to corrigenda than to addenda, and had not added new entries for many of the later publications. The resulting list was rather long. In addition to The Children of Húrin, Christopher Tolkien had also published The Legend of Sigurd and Gudrún, The Fall of Arthur, and Beowulf: A Translation and Commentary together with Sellic Spell. Primary material had also been edited by other scholars: The History of The Hobbit by John Rateliff, an expanded edition of On Fairy-stories by Verlyn Flieger and Douglas A. Anderson, The Story of Kullervo and The Lay of Aotrou and Itroun by Verlyn Flieger, J.R.R Tolkien: Fragments on Elvish Reincarnation by Michaël Devaux; Fate and Free Will by Carl Hostetter; and A Secret Vice: Tolkien on Invented Languages by Dimitra Fimi and Andrew Higgins. Some of these publications include more than one work, and therefore needed more than one entry in the Reader’s Guide. Since 2006 we ourselves contributed The Art of The Hobbit by J.R.R. Tolkien, The Art of The Lord of the Rings by J.R.R. Tolkien, and an expanded edition of The Adventures of Tom Bombadil. In addition, a large amount of Tolkien’s linguistic material and created scripts had appeared in seven issues of Parma Eldalamberon and two of Vinyar Tengwar. All this amounts to at least a shelf of newly published material. We had also thought of many additional subjects for which entries should be written. I added these to the outline of topics I was compiling for the revised Guide. Some had been suggested by readers, others were omitted from our first edition for one reason or another (not all clear to us more than a decade later). To name only a few, new entries include: Authorial Presence; J.M. Barrie; The Battle of Maldon; John Buchan; Lewis Carroll; Composition, Manner of; Essays Presented to Charles Williams; poet H.R. Freston; Maps; Realities: An Anthology of Verse; Romanticism; The Seafarer; William Shakespeare (separated from Drama); Tolkien Estate; Tom Bombadil: A Prose Fragment; Richard Wagner; and The Wanderer. We also decided to add more entries for people Tolkien knew at King Edward’s School or at Oxford, or who were close to him in his academic career or personal life. These include, among others, Allan Barnett; C.M. Bowra; R.G. Collingwood; Francis de Zuleta; Mother Mary Michael; Alfred Measures; the Mitton Family; the Mountain Family; and Denis Tolhurst. Altogether there are almost a hundred new entries, only sixteen of which previously appeared in some form in our online addenda. At the same time, I marked some forty existing topics which needed additions, sometimes extensive, to cover developments during the intervening decade or publication of new new material. These include: Adaptations; Beowulf: The Monsters and the Critics; Biographies; Brookes-Smith Family; Collecting and Sales; Criticism; Fandom and Popularity (previously Fandom); The Hobbit; Illustration; The Jerusalem Bible; Languages; Languages, Invented; The Lord of the Rings; Stella Marie Mills; Francis Xavier Morgan; Mortality and Immortality; Emily Jane Neave; Edith Nesbit; Perry-the-Winkle; Reading; Recordings; Reincarnation of Elves; Religion; Source Criticism (previously Source-hunting); Suffield Family; Tolkien Family; War; Women and Marriage; and Writing Systems. Again, this list is not exhaustive. So with this outline of the task ahead I turned my attention to the material written about Tolkien and his works since 2005, allowing that time constraints might have prevented us adding any but the most significant matter to entries already completed. Books from this period would fill at least three shelves, and that is not including magazines and journals and online forums. I began by working methodically through Tolkien Studies, Mythlore, Mallorn, Amon Hen, Beyond Bree, Hither Shore, Seven, Journal of Inklings Studies, and Lembas Extra, noting under a topic articles which seemed relevant and worthwhile, and sometimes copying brief extracts to indicate their importance. I did not, of course, have to read everything: often a title or quick scan would indicate that a paper fell outside the scope of our work. Next, I went through the proceedings of the Tolkien Society conferences held in 2005 and 2012, and then turned to the bookcase in which we shelve collections of essays, the greater part of which were published in 2005 or later. After this, I turned to books by individual authors from the relevant period, in some ways more difficult since a book may make successive significant points with chapter titles likely to be less informative than essay titles, but those books most likely to be relevant usually have an index (even if not always as good as I would have liked). For new topics I obviously had to go back further than 2005. For magazines and so forth, I referred to notes I had made when I had looked at earlier issues for the first edition of our book, when we were still uncertain of what topics would be included. For books, I covered the most likely works by checking the index (if any) and chapter titles. Finally I turned to our ‘Tolkien Archive’ files – a work in progress. When I lived in London I pasted cuttings (biographical information, reviews, articles, etc.) into scrapbooks and accessed them by means of a typed index of their contents and a manuscript alphabetical index of newspapers and magazines (leaving space for additions). I tried to keep this up when I moved to Williamstown, but we were kept busy with writing books, and Wayne wanted something more serviceable and archival. The material piled up, especially when we were working on the first edition of the Companion and Guide and on The Lord of the Rings, and there were times when we had to embark on a desperate search for something we wanted and knew we had. At that point, my scrapbooks were more user-friendly. Once our books were finished for the moment and we had completed renovations to our house, at the beginning of 2008 I began the task of dealing with this mass of paper. First I made a rough sort into larger categories and then divided each of these more finely and as logically as possible in hanging folders in seventeen plastic file boxes. I then began to compile an electronic catalogue and private inventory for these papers and for the scrapbooks, in which each item would be listed by its place – by numbered scrapbook or numbered file in numbered box, and further listed alphabetically by author and by source title, with a separate list of extracts from books by author. Entries for items vary from brief statements of identification to summaries, some quite detailed, and a rough and ready indicator of significance. This task was interrupted when we were commissioned to write more books, but by the beginning of 2016 I had dealt with some sixty scrapbooks (about a third of the total) containing biographical material and reviews of books by Tolkien, and had dealt with most of the hanging files (with the exception of material dealing with individuals other than members of Tolkien’s family, but these, which had been placed in alphabetical order, were reasonably accessible) and with a mass of unsorted cuttings about the various films. I had just begun to address the scrapbooks containing reviews of Humphrey Carpenter’s biography of Tolkien when we were asked to write our new Companion and Guide. For this we only occasionally needed to look at the scrapbooks, which had been mined for the first edition, and I did not even need to look at the mass of paper in the hanging files to find relevant material. I just scanned the electronic files and copied entries which looked interesting into the topics master file. Next came a read through of the original text of the Guide, adding notes of errors or typos and of matter that needed updating. This became the master file for the Guide. We did not write or revise articles to any order, picking what we felt like writing, but generally dealt with those we each had written for the first edition, if revision or addition was needed, and also produced new entries in the same categories. Thus Wayne dealt with Tolkien’s academic writings and most of his literary works, including poetry; biographies except for some literary figures; places; and Tolkien’s created languages and writing systems, while I dealt with all of the entries concerning ‘The Silmarillion’ and The Silmarillion; general entries about Tolkien as a writer; most literary figures; and many general topics. But there were exceptions: Wayne wrote the entry on John Buchan because he has read more of his works, while I wrote the one on The Fall of Arthur because I have read more Arthurian literature, and that for The Legend of Sigurd and Gudrún as the sources of that work are similar to those used by Wagner, which fell to my lot as an opera enthusiast. Once we began to write, Wayne controlled the master file for publication and added each completed entry once it had been approved by both of us, looking again for typos or inconsistencies, especially of style between entries, checking that references to online sources still work (many were defunct), and eventually typesetting each volume. As a coda, I am just working my way through a seven-inch-high pile of papers that accumulated since we began to work on the second edition, some extracted from existing archive files, a small number of additions during the past few months, but the bulk of it new material collected or downloaded while working on entries in the Chronology or Reader’s Guide. Over the years, we have visited Tolkien’s British publishers in their variety of establishments. Christina used to watch the windows of George Allen & Unwin’s London headquarters at Ruskin House, 40 Museum Street, for the occasional Tolkien display, and to step into the reception area now and then to pick up catalogues. She penetrated further in 1987 when Rayner Unwin allowed her to photograph covers and artwork of translations of The Hobbit for a talk at the Tolkien Society seminar celebrating the fiftieth anniversary of The Hobbit’s publication. Because there was not much room, she had to rest the books on a high windowsill to get enough light, and to stand on steps to shoot from above. She later expanded beyond The Hobbit to other titles, at Museum Street and then mainly in forming her extensive library of Tolkien in translation. A few years before that, Rayner gave Christina permission, along with Charles Noad, the Tolkien’s Society’s bibliographer, to photocopy Allen & Unwin’s collection of Tolkien-related press cuttings at the company’s warehouse in Hemel Hempstead, twenty-four miles (thirty-nine kilometres) north-west of London. As she recalls, Christina and Charles made three or four visits, taking a train from Euston at about 8.30 a.m. and then a bus from the station into the town, arriving not long after the offices opened at 9.00 a.m. They would then work through until closing time (about 5.00 p.m.) without lunch. Sets of reviews, including ones from the U.S.A. supplied by Houghton Mifflin, and miscellaneous publicity about Tolkien were packed tightly into envelopes (in some cases, ‘scrunched’ would be a better description). Christina and Charles paid for the cost of the photocopies, and to save time and money opted for the larger A3 paper, fitting as many carefully unfolded cuttings as possible on each sheet. Christina later cut out individual items from her set of copies and pasted them into a series of scrapbooks – we’ve made great use of these in our books and papers on Tolkien. After Allen and Unwin merged with Bell Hyman in 1987, the Hemel Hempstead premises were sold and the cuttings evidently discarded. In the film made to celebrate the Tolkien centenary in 1992, Tom Shippey reads some of the reviews from one of Christina’s scrapbooks. Allen & Unwin sold a long lease on Ruskin House and the new entity, Unwin Hyman, moved into premises in Broadwick Street, Soho. We visited these offices several times, sometimes accompanied by Joy Hill, who had worked at Allen & Unwin in the 1960s and 70s, variously as Rayner Unwin’s secretary and to organize matters associated with Tolkien, at times helping with his correspondence. Christina met Joy first at a few Tolkien events, and was in contact with her also in regard to the Tolkien Centenary Conference, for which Christina was committee chair. Joy lived only few streets from Christina in Battersea, and became a close friend of us both. Wayne had been working for many years on a bibliography of Tolkien’s publications and, encouraged by Joy, was now striving to finish it for publication in 1992, the centenary of Tolkien’s birth. Wayne having approached Rayner and the Tolkien Estate about access to Tolkien’s correspondence with Allen & Unwin, as a basis for his publishing history, permission was granted. Then suddenly we heard from Joy that Rayner had been unable to prevent the acquisition of Unwin Hyman by HarperCollins; the Tolkien–Allen & Unwin archive would be preserved, but its location would be uncertain for a time. We had to move quickly. Wayne spent most of a week in the Broadwick Street building, with Christina’s help part of the time, recording relevant information at breakneck speed while the Unwin Hyman offices were being dismantled, moved, or disposed of around us. As HarperCollins were interested in promotional prospects of the Centenary Conference, as chair Christina had contacts with Mary Butler, who had been on the Unwin Hyman staff and was now in charge of Tolkien publications. She became our editor when Christopher Tolkien asked us to write a book about Tolkien’s art, and we subsequently visited her at HarperCollins’ offices in an impressive new building at 77–85 Fulham Palace Road, Hammersmith. There, after passing through a security checkpoint, one found a large central atrium surrounded on each level by a mix of private offices and open-plan working space. J.R.R. Tolkien: Artist and Illustrator having been published with success in autumn 1995, when we returned to England in spring 1996 we went to Hammersmith again to discuss further Tolkien projects with David Brawn, Mary Butler’s successor. Our proposal of an expanded edition of Tolkien’s Letters was not taken up, but it was suggested that a Tolkien volume similar to Walter Hooper’s C.S. Lewis: A Companion and Guide would allow us to include some parts of unpublished letters, and more immediately, we were asked to edit Tolkien’s unpublished story Roverandom. During the next few years when visiting England we made our way to Hammersmith, where in addition to David Brawn we met his deputy, Chris Smith, as well as other assistants. On one occasion, we spent time comparing our notes from the Tolkien–Allen & Unwin archive against the original letters, which had to be used in the small room and narrow passage where their fireproof filing cabinet was kept. We can’t remember the exact date of our final visit to Hammersmith, but it was probably early in the new millennium. Our visits to England have become less frequent, and with publishing business carried out now mainly by email there’s less need for personal contact. So there had been a considerable gap before our May 2016 visit to David and Chris at HarperCollins’ new headquarters in the News Building – earlier known as ‘The Place’ and the ‘Baby Shard’ – at 1 London Bridge Street, just south of the river. HarperCollins share the building with other Rupert Murdoch businesses, but are situated high enough to have a dramatic view of the Thames, the City, the Tower of London, and all of the various oddly-shaped tall structures that have altered the skyline in recent years. We had been kept busy with The Art of The Hobbit, the expanded Adventures of Tom Bombadil, revisions to the sixtieth anniversary Lord of the Rings and to The Lord of the Rings: A Reader’s Companion, and most recently The Art of The Lord of the Rings. Now, invited to meet, we wondered what HarperCollins might be considering. After discussing a few possibilities (an expanded Letters was, alas, still not required), quite unexpectedly we were asked about a revised and expanded Companion and Guide. The original printing had sold out, and a straightforward reprint seemed unlikely to do well when so much had been published in the years since the original edition (2006) and so much more information had become available, including material we had noted on our website. After getting over our surprise, we were happy to discuss the proposal. Wayne pointed out that the Guide volume was already at its maximum length for binding. It was suggested that we make the Companion and Guide three volumes rather than two, splitting the Guide and reorganizing material to try to make the two new Guide volumes as equal in volume as possible both to each other and to the Chronology. At the same time, we welcomed the opportunity to add running heads to aid navigation, which we were unable to include in our first edition. Eventually, when Wayne has time to work on a second edition of his Tolkien bibliography – so long promised! so often set aside as Tolkien contracts have come our way – we’ll need to visit HarperCollins’ offices in Glasgow. Their archive has moved there, including papers which would give printing figures and publishing details of Tolkien books since Wayne’s original cut-off date in 1992. At last, in the middle of June, we sent to HarperCollins the revised and expanded edition of our J.R.R. Tolkien Companion and Guide. Our original March deadline proved impossible to meet. Even after we finished writing and revising, we still needed to add running heads (page titles) and to make a new index. This last step, which took about six weeks, delayed sending our completed files, and that is probably the main reason why the original publication date for the new Companion and Guide boxed set, 5 September 2017, has been moved back, first to 21 October and now to 2 November. We knew from the start that it would take longer to index 864 pages in the new Chronology and 1,455 in the new, two-volume Reader’s Guide than it did 803 pages in the original Chronology and 1,135 in the first (single-volume) edition of the Guide. But we always forget that writing a thorough, useful index takes more time than we expect, in fact we have only a dim memory of how long it took in 2006. Although we were able to make use of our earlier draft index, so didn’t have to recreate our terms or style of presentation, all page references had to be corrected and we had a great deal of added text. As for our previous edition, we considered whether to use the indexing function in our InDesign publishing software, but ruled it out as more complicated and less flexible than creating an index in Word from a printout of the finished pages, as we’ve done now for several books. The disadvantage of Word is that its sort function does not by itself ignore initial articles or quotation marks; but it allows the indexer to work critically rather than mechanically, taking into account alternate words or names and grouping related concepts. When we began to write our new index we planned to break up some of the longer blocks of page numbers in individual entries, subdividing by topic or concept, as this had been a point of criticism from some readers of our first edition. We were able to do this to some extent, if not as much as we wanted. We were already past our deadline, and in the Chronology we had a limited number of pages we could devote to the index, HarperCollins having restricted the length of each volume to 960 pages for economic reasons. We had already moved the family trees and bibliographies of Tolkien’s works (126 pages) from the Chronology to the Guide, where we had more space (across two volumes), and we decided to omit from the Chronology our now much longer list of works consulted, which in any case had more bearing on the Guide. We were also able to slightly condense, from six to four pages, the long copyright statement at the end of each part. Even so, the Chronology text grew so much that we were left with only six pages beyond the original length of the index, while needing to cover more than 300 additional pages of text in the Companion and Guide. Fortunately, Wayne was able to extend the available space by reducing the font size and through other typographic tricks, and in the end our new index was just able to fit without having to be cut back, as we feared we would have to do. Of course, even though we had both proofread our text thoroughly, the indexing process pointed out some further errors, omissions, and inconsistencies, all of which had to be corrected or emended, ideally within the same page breaks so as not to affect any indexing already done to that point. This was possible only because Wayne was setting the type and making up the pages, and we could rewrite as needed. We’re grateful to HarperCollins for understanding this process and not rushing to press the texts we had sent for their comment. Nevertheless, even before publication, we’ve begun to collect addenda and (very minor) corrigenda, and as before will post these on our website. The full price of the new edition is £120, but Amazon UK are offering the boxed set at only £78. Later this November, each of the three volumes will be available individually as well, currently priced at £40. (These individual volumes are almost hidden by Amazon, and the two Reader’s Guide volumes are categorized under Science!) As far as we know, there are no plans for a new edition of our book to be published in the United States. We’ll have more to say about added and revised content, and about our experience writing the Reader’s Guide, in later blog posts. Christie’s, King Street, London offer in their sale Valuable Books and Manuscripts on 1 December, as lot 40, Tolkien’s autograph postcard signed to the poet Alan Rook, 21 April 1943. Estimate: £1,000–1,500/$1,300–1,800/€1,000–1,700. Tolkien thanks Rook for a copy of his book These Are My Comrades and promises to send him a story to read, almost certainly Leaf by Niggle; see our Chronology, p. 260. In the same sale, as lot 165, is a first edition, first printing of The Hobbit, in dust-jacket, estimate £7,000–10,000/$8,600–12,000/€7,900–11,000. Sotheby’s London offer in their sale English Literature, History, Children’s Books and Illustrations on 13 December, as lot 337, a set of The Lord of the Rings, HarperCollins, 1996, third/second/second printings of the three volumes in paperback, boxed, each volume with an inscription and original pencil drawing by Alan Lee. Estimate: £2,000–3,000/€2,250–3,350. Sotheby’s New York offer in their sale Fine Books & Manuscripts including Americana on 6 December, as lot 119, a set of first printings of the first edition of The Lord of the Rings, Allen & Unwin, 1954–55. In the original jackets, but that for the Fellowship is price-clipped, and that for The Two Towers is browned. Estimate: $10,000–15,000. The catalogue entry, referring to a ‘trilogy’, states: ‘While serving in the trenches in WWI, Tolkien conceived of these tales set in a “secondary World,” for consolation and pleasure; they developed over a period of forty years into an epic narrative. The Lord of the Rings has been read as an allegory for multiple good-versus-evil conflicts: post-World War I and the rise of Hitler; Christian myth; even the environment, with the Dead Marshes reflecting Tolkien’s despair over the desolation wreaked by military technology.’ Note to the author of this text: No, it’s not a trilogy. No, it wasn’t written in the trenches – nor, for that matter, was ‘The Silmarillion’, which is probably what you have in mind. And Yes, The Lord of the Rings has been read as an allegory, but No, it isn’t one. For months we’ve been wondering about a four-volume set, J.R.R. Tolkien, being prepared by Stuart Lee for the publisher Routledge in their series Critical Assessments of Major Writers. Early information was sparse, but has now been amplified in a blurb which claims that the book ‘meets the need for an authoritative reference work to collect early evaluations and to make sense of the more recent explosion in research output. Users are now able easily and rapidly to locate the best and most influential critical assessments. With material gathered into one easy-to-use set, Tolkien researchers and students can now spend more of their time with the key journal articles, book chapters, and other pieces, rather than on time-consuming (and sometimes fruitless) archival searches.’ Its contents are listed on the publisher’s website. The first volume is titled ‘Tolkien’s Life: Writer and Medievalist’, and will contain 19 essays or extracts in three categories: ‘Biographical Studies’, ‘The Medievalist’, and ‘Lit. and Lang.’. The second volume will be ‘The Roots of Middle-earth’, and will contain another 19 writings, on Tolkien’s language invention, sources, analogues, and inspirations, and mythology and mythmaking. Volume 3 is to be ‘Key Works and Themes’, comprising 19 writings on ‘The Silmarillion’, The Hobbit, The Lord of the Rings, other works, and poetry. Finally, the fourth volume, ‘Themes, Reactions, and Legacy’, is to have 27 writings on war, spirituality and religion, good and evil, heroism, gender, modernism, critical reaction, fantasy, and film adaptations. Contributors include Humphrey Carpenter (an extract from his Biography), Douglas A. Anderson, David Bratman, Diana Pavlac Glyer, John Garth, J.S. Ryan, Thomas Honegger, Tom Shippey, Jane Chance, Verlyn Flieger, Marjorie Burns, Stuart Lee himself, among many others. Because all of their writings on Tolkien have appeared before – there are no new contributions – we suspect that most ‘Tolkien researchers and students’, as well as most libraries, will have to think hard whether to spend £900.00 or $1,485.00 for ‘one easy-to-use set’, whatever the quality of its contents, and especially, the selection of contents – for one could name several worthwhile critical works on Tolkien for every one this set will include – and instead endure the ‘archival searches’ that are, after all, part and parcel of work of this sort. For ourselves, we were very pleased to find that every one of the writings chosen for this set is already on our shelves or in our files – hence, the advantage of being completist Tolkien collectors! For example, a few of the essays were published earlier in Lee’s 2014 Companion to J.R.R. Tolkien, several appeared in Tolkien Studies or in the proceedings of the 1992 Tolkien Centenary Conference, and many are being taken from the 2000 festschrift for Christopher Tolkien, Tolkien’s Legendarium, edited by Verlyn Flieger and Carl F. Hostetter, or from the proceedings of the 2004 Marquette University Tolkien conference, The Lord of the Rings 1954–2004: Scholarship in Honor of Richard E. Blackwelder (2006), edited by Hammond and Scull. Most teachers and students at a higher level will find most of these already in their institutional libraries or available online. A few days ago, Amazon U.K. reduced the price of our Art of The Lord of the Rings significantly, to just £10.00. Sales are evidently brisk – in time for Christmas – for our book is once again in Amazon’s ‘best-selling’ ranks. HarperCollins will announce today the latest Tolkien title edited by Christopher Tolkien, Beren and Lúthien, to be illustrated with drawings and paintings by Alan Lee and published on 4 May 2017. An American edition will be published simultaneously by Houghton Mifflin Harcourt. As we write this on the 18th, Amazon UK list only a Kindle edition. Price and physical details have not been announced, but the upper dust-jacket is pictured at left; nor is there word yet of a deluxe edition. ‘Original form’ presumably means the earliest surviving version, written in ink over, and obliterating, the first version which Tolkien had written out in pencil, in The Book of Lost Tales, as The Tale of Tinúviel. This evolved as Tolkien’s legendarium grew, as related in several volumes of The History of Middle-earth and described at length in our J.R.R. Tolkien Companion and Guide. Update later this morning: A hardcover edition of 304 pages is now listed on Amazon UK at £20.00, and a simultaneous deluxe edition at £75.00. Tolkien Companion and Guide 2nd Ed. Ten years after its publication in autumn 2006, The J.R.R. Tolkien Companion and Guide is out of print in both the U.K. and the U.S. The decade has passed as if in the blink of an eye. During that time, our book has been praised as essential and authoritative, but also criticized on several counts, some of them legitimate. Kind readers have sent us corrections and suggestions, many of which may be found in our addenda and corrigenda. It’s gratifying to have so many readers that stocks of the Companion and Guide have sold out: it has not always been clear that our book was being noticed, let alone read, as when a question was asked on an online Tolkien site and no one thought to find the answer in ‘Scull and Hammond’. We were honoured to learn this past spring that HarperCollins want to continue to publish the Companion and Guide, not simply as a reprint of the existing text but in a new edition, corrected, revised, and enlarged. When we were commissioned to write a general book about Tolkien’s life and works, our first model was C.S. Lewis: A Companion and Guide by Walter Hooper, a thick volume of nearly a thousand pages; but we gathered so much material that our Chronology alone reached that length. Fortunately, HarperCollins agreed to give us two volumes, though we had to cut the text of the Reader’s Guide to fit the maximum number of pages the binding process would allow. Readers of our addenda and corrigenda know that we have continued to gather information about Tolkien, and in the ten years since the Companion and Guide appeared more works by Tolkien have been published, as well as a considerable amount of Tolkien scholarship and criticism. With so much additional material at hand, and so much more ground to cover, HarperCollins suggested that the Companion and Guide now expand from two volumes to three. The first edition of our book was published both as a boxed set in a slipcase and separately as the Chronology and Reader’s Guide; and because the two volumes could be bought separately, our Preface, bibliography of Works Consulted, and Index were included in each. For the new edition, which will be published only as a hardback set, the Preface will appear only in the first volume and the bibliography of sources only in the third, but for convenience of use each volume will include a comprehensive, improved index. The Chronology will remain a distinct volume, while the encyclopaedic Reader’s Guide will now have two volumes, the first of which will include a list of topics covered, a feature more than one reader has requested. Further, running heads for easier navigation, which had to be omitted in 2006 for reasons discussed on our website, will be included in the new edition of the Reader’s Guide, as well as a greater number of cross-references. When HarperCollins commissioned this new work, they asked us not to discuss it until they could arrange publicity to be released at an optimal time. But partial information about the book slipped out to Amazon UK and was soon noticed by fans. We asked for permission to announce the new edition formally in this space, and received it this morning. The publication date of 7 September 2017 mentioned in the Amazon listing is probably correct, but the number of pages given, 2,400, is just an early estimate. Wayne writes: Last December, I commented on J.R.R. Tolkien: Codemaker, Spy-master, Hero by ‘Elansea’ (Alex Lewis and Elizabeth Currie), which argues that Tolkien was an Intelligence operative for Great Britain, and that this hidden career explains inconsistencies or errors in published biographies. I was not convinced of either the premise or the conclusion of the book, and felt that the authors’ points were unsupported – Lewis and Currie admit to a lack of direct evidence for their position – or that there are simpler or more rational interpretations for events than ‘Elansea’ provide. The same authors, again as ‘editors’ and with Currie given pride of place, have now published On the Perilous Road: An Unauthorised Biography of J.R.R. Tolkien. It is intended ‘to tell the story of Tolkien’s life in a concise, clear and easily readable way’, but is built on the same assumptions about Tolkien and Intelligence Lewis and Currie made in their earlier book. They describe their approach in On the Perilous Road as similar to that taken by Humphrey Carpenter in his authorized biography of Tolkien, but with new evidence which has appeared subsequently. The use of new evidence is to be applauded, though at this date one has a right to expect it: many later Tolkien biographies have been no more than variations on Carpenter’s. I would also give Currie and Lewis credit for their efforts to put Tolkien’s life in the context of history, though these tend to be excessive and sometimes act as digressions. As for Codemaker, Currie and Lewis draw almost exclusively on published sources, the chief exception being good if not exhaustive research done for them ‘by our researcher S.M. Wood’ in online records concerned with Edith Bratt’s parents. Often they criticize other writers on Tolkien (including ourselves) for not having fully explored some avenue of Tolkien biography, such as correspondence between Tolkien and the publisher Collins about The Lord of the Rings and The Silmarillion. To this we might reply: Why did Currie and Lewis not do so themselves? As we know from experience, no researcher can afford to pursue every lead as far as it will go, nor does every approach seem worthwhile for a given purpose, nor does every possible avenue come to mind until after the fact, nor are all archives open to be explored. But at least we did a great deal of work in this regard, rather than complain that others had not done it for us. Currie and Lewis also frequently complain that material they might use, such as letters by Tolkien, has not been published or has been heavily edited. This is sometimes true, although the degree of editing is often due to lack of space or a need, say, to appeal to a wide readership. But a scholar may deal with this in various ways: for example, by seeking out original material in libraries and archives. We too wish there were more published Tolkien letters, and in lieu of a new edition of Letters included many previously unpublished letters or extracts in our Companion and Guide. At the same time, Currie and Lewis have not used published sources comprehensively, and have overlooked some which could have been useful. As a consequence, they make not a few erroneous, or at least remarkable, statements. On p. 22 they repeat the old error that in 1904 Tolkien was sent to stay with ‘Jane Neave and her husband Edwin’. But Jane and Edwin were not yet married at that time. We made the same mistake in the Companion and Guide, but corrected it in our online addenda and corrigenda when new evidence came to light. On p. 24, Currie and Lewis state that, other than the boys in the T.C.B.S., ‘who else Tolkien knew at [King Edward’s School] is unknown’. By ‘unknown’ I suppose they mean that Tolkien’s biographers do not include class lists or membership rosters of, say, the school debating club or football team. Some information of course is too tangential for a particular purpose, and space in a book or essay may be limited. But the names are known nevertheless, for example in the King Edward’s School Chronicle and C.H. Heath’s Service Record of King Edward’s School, Birmingham. Similarly, on p. 32 Currie and Lewis state that ‘we know nothing about [Tolkien’s] friends at university’. But we do, as reported in our Companion and Guide and addenda, in John Garth’s booklet Tolkien at Exeter College, and elsewhere. Perhaps Currie and Lewis mean that Carpenter, and others who have produced formal biographies of Tolkien (distinct, say, from our Chronology and Reader’s Guide), have not discussed his university friends, or have not done so to any great degree. And yet, the information is available, and if there were a great lack, could Currie and Lewis not fill the gap themselves? On pp. 109–10, in an argument carried over from their earlier book, Currie and Lewis dispute Tolkien’s need to mark examination papers to pay doctor’s bills. They cite a letter he wrote to R.W. Chambers on 7 August 1925, in which he says that he has recently finished marking examinations, ‘yet there is no mention [in our Chronology] of any illness in the family in the preceding months. It is hard to identify any reason for such bills’ existence just then.’ Presumably it did not occur to Currie and Lewis that our Chronology does not cover Tolkien’s life for every minute of every day, nor do we have direct evidence for every day, especially for Tolkien’s early career, and unlike Currie and Lewis we have preferred not to speculate, at least not wildly. One could reasonably speculate, however, that if Tolkien needed to pay doctor’s bills, then he or family members had seen the doctor, for some reason we do not know and, frankly, do not need to know. Currie and Lewis want to make the point that Tolkien did not need the money, and was not in fact marking examinations, but working for British Intelligence from time to time – but this is supposition based on more supposition. ‘None of Tolkien’s biographers so far have taken [Tolkien’s pupils] seriously’, Currie and Lewis write (p. 111). They say much the same also about his colleagues at Leeds and Oxford, complaining that some were ‘unknown to Carpenter and the “tradition” of Tolkien biography that follows him’ (p. 112). They mention Lascelles Abercrombie, whom Tolkien knew at Leeds: ‘Did he have any influence on Tolkien – or did Tolkien influence him? We don’t know’ (p. 112). Why should it be up to others to find out? Yes, life is short, and yet Abercrombie is the subject of the first entry in our Companion and Guide, which includes his statement: ‘I have gained at least as much from the keen artistic sensibility as from the science of his scholarship’. For accounts of Tolkien’s students and colleagues, one can read the Companion and Guide, or essays such as Douglas Anderson’s ‘“An Industrious Little Devil”: E.V. Gordon as Friend and Collaborator with Tolkien’ in the collection Tolkien the Medievalist (2003). Is it any different for the Inklings, who have had Carpenter’s 1978 book and Diana Glyer’s The Company They Keep from 2007, among others? No: ‘Despite the fame of three of them, J.R.R. Tolkien, C.S. Lewis and Charles Williams, little is known about most of the others in the group’ (p. 229). Here, at least, Currie and Lewis make some effort to discuss ‘the others’: Barfield, Dyson, and Wrenn, Havard, Dundas-Grant, and Hardie – but not Warnie Lewis. Their source was perhaps our Reader’s Guide, where each known Inkling has an entry, or Walter Hooper’s C.S. Lewis: A Companion and Guide. They suggest that biographers’ focus on the Inklings (which, in contradiction, is said to give little notice to most of them) ‘has inadvertently but most effectively wiped everyone else out of the picture’ (p. 235), ‘everyone else’ being friends of C.S. Lewis who may have had ‘a secondhand but important impact on the Inklings’, such as John David Mabbott and Hilary Hinsley (née Brett-Smith). I would hazard a guess that these ‘secondhand’ figures are not mentioned in accounts of the Inklings, or of Tolkien, and indeed they are not, because there is no evidence to connect them, beyond their association with Lewis or others Tolkien knew. One can play ‘six degrees of separation’, but researchers, and their books, and reason, do have their limits. The most remarkable part of On the Perilous Road comes late in the book, where Currie and Lewis discuss the publication of The Lord of the Rings and Tolkien’s concern to publish The Silmarillion. They are puzzled why Tolkien should have wanted to publish The Silmarillion at the same time as The Lord of the Rings, ‘when the two books as [finally] published have almost nothing to do with each other’ (p. 239) – an amazing statement, given that the two works are parts of a larger legendarium – as Currie and Lewis surely know. I imagine that they were trying to make the point that this was insane behaviour for an author, for whom getting just one of his long and unusual works published was difficult enough, and of course Tolkien himself came to see this. But it does not need an outlandish explanation, having to do with Intelligence and censorship, to understand Tolkien’s way of thinking about his great tale of ‘the jewels and the rings’. Nor is it hard to understand the behaviour of his publishers, why they should treat Tolkien with such respect even when he was being difficult, or in the case of Milton Waldman at Collins, why he should have bothered to read Tolkien’s extremely long letter explaining the connection between The Lord of the Rings and The Silmarillion. One needn’t even say that publishers were different in those days, because I can attest that Christina and I are always treated with respect by our publishers, and I do not doubt that they would read carefully any long memo sent them by an author of Tolkien’s stature (regardless of what publishing realities might dictate about the final result). Currie and Lewis are astonished at Tolkien’s famous letter to Milton Waldman. ‘Only a very small part of it has been published. The complete text apparently runs to around ten thousand words. . . . This massive missive seemingly outlined Tolkien’s entire personal mythology in which must have been considerable detail, so whilst its partial publication is understandable, it is also a great pity. . . This letter as published has been hugely edited . . .’ (pp. 255–6). The word count is given by Humphrey Carpenter in The Letters of J.R.R. Tolkien, p. 143 – just before nearly the entire letter appears in print, excepting only the long portion which describes The Lord of the Rings. Since The Lord of the Rings could be assumed to be well known to readers of Letters, the description was omitted there, but it is included as an appendix in our Lord of the Rings: A Reader’s Companion, and had been published earlier, with a French translation, by Michaël Devaux. The whole letter therefore is, and for a long while has been, available to read; it has not been ‘hugely edited’, and in no way suppressed. And if ten thousand words seems incredible – ‘bachelor’s degree thesis length in Britain, or about one-eighth of a novel’ (p. 255) – in fact by my count it is closer to thirteen thousand words. Its length suggests both the complexity of the two works it describes and the importance those inter-related writings held for Tolkien. Currie and Lewis provide a list of ‘further reading’, in which books on war and intelligence predominate. There they describe the Companion and Guide as ‘enormous, expensive and hard to use’, and John Garth’s Tolkien and the Great War as ‘the only detailed study’ of Tolkien and the First World War but ‘not without flaws’. Carpenter’s biography of Tolkien is listed first, following Currie and Lewis’s opinion that he was ‘Tolkien’s only real biographer’ (p. 306), whatever that may mean; at any rate, it’s insulting to ourselves, and to John Garth and Raymond Edwards, who also wrote Tolkien biography and did original research. The book concludes with an index which is too selective to be used with confidence.